1) “‘I had to guard an empty room’: the rise of the pointless job ” (The Guardian, 10 minutes, May 2018). I have my own pointless job story, from years ago, which I may end up writing down one day. So I can relate to the stories in this article. Thankfully, I was fired from that job (well, it was a temp gig, so technically it “ended” and I wasn’t “fired”) after two days. Everyone is familiar with the sort of jobs that don’t seem, to the outsider, really to do much of anything: HR consultants, communications coordinators, PR researchers, financial strategists, corporate lawyers or the sort of people who spend their time staffing committees that discuss the problem of unnecessary committees. What if these jobs really are useless, and those who hold them are actually aware of it? Could there be anything more demoralising than having to wake up in the morning five out of seven days of one’s adult life to perform a task that one believes does not need to be performed, is simply a waste of time or resources, or even makes the world worse? There are plenty of surveys about whether people are happy at work, but what about whether people feel their jobs have any good reason to exist? I decided to investigate this phenomenon by drawing on more than 250 testimonies from people around the world who felt they once had, or now have, what I call a [baloney] job. 2) Support Now I Know with a one-time gift. 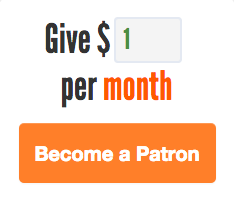 As you probably know, many readers support Now I Know through my on-going Patreon campaign. (A big thanks to those who do!) Patreon lets you pledge to support this project on a monthly basis but some of you have written in asking for a one-time option — but before today, I’ve never actually set that up. 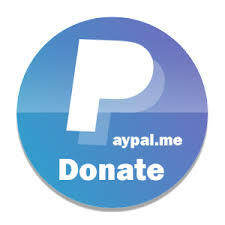 If you’d like to, please consider supporting Now I Know via PayPal, at that link. There’s absolutely no obligation to do so, and please don’t feel even the slightest bit guilty if you opt not to. Seriously, it’s cool. 3) “Tim Miller can find almost anyone. Can he find his daughter’s killer?” (The Guardian, 21 minutes, June 2018). The subhead: “A man in Texas helps police find missing people. He’s spent three decades working on the hardest, coldest case of all: his daughter’s murder. Has he finally solved it?” Holy cow. Monday: Santa’s Elves Live in … Schenectady? : 12345 is a special place for Santa. Tuesday: High and Outside: The baseball player that did something spectacular but probably can’t enjoy the memories because, well, drugs. Wednesday: The Tractors that Turn Farmers into Hackers. Oh, the farmer and the software engineer should be friends. Oh, the farmer and the software engineer should be friends. ​One man likes to push a plow, the other likes to debug code, but that’s no reason why they can’t be friends. Thursday: Telling Thyme: Spice clocks. You’ll see. (No wait, you won’t; that’s the point.) The “From the Archives” link to this one goes to the story of a soccer ball which doubles as a light; a reader wrote it to tell me that the ball isn’t as good as one would hope, unfortunately. 5) “Against the Grain” (The Ringer, 27 minutes, February 2018). This is the story of Dave’s Killer Bread, a trendy brand insofar that bread brands can be trendy. Or, more accurately, it’s the story of Dave. Thanks to James C. for sharing. On November 14, 2013, just before 11:30 a.m. PT, an employee of Dave’s Killer Bread made a call to the police. Dave recalls loitering outside the company building, striking up conversations with employees walking by and enjoying a cigarette. Then he noticed it, through the window: a familiar silhouette, a reflection of everything that had put him on sabbatical in the first place. “We have an employee who is in the front of our parking lot and he is physically intimidating customers in our store. … We’re very scared. He’s a danger to himself and others,” the voice told the 911 dispatcher. The connection is slightly staticky — the sound equivalent of a shaky handheld camera. 6) “The Man Who Made ‘Tetris’” (Motherboard, 10 minutes, November 2014). The subhead: “Life gets pretty chill after creating ‘Tetris’ and escaping the KGB.” A profile of a man you probably never thought about before.